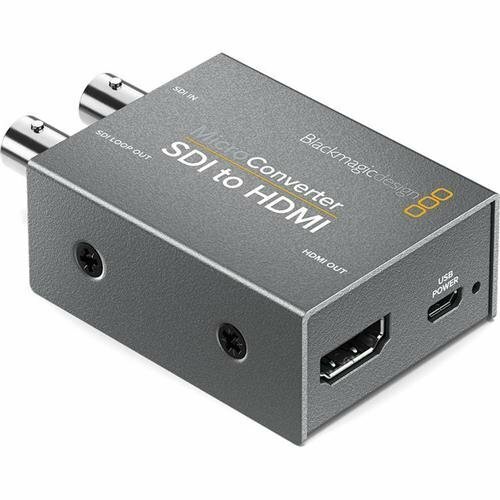 Convert from SDI to HDMI so you can output video from professional SDI video equipment to consumer HDMI televisions, projectors and more! The multi rate 3G-SDI automatically switches between all SD and HD formats up to 1080p60. You also get 3G-SDI loop through, support for Level A and Level B equipment and power over USB! If you have any questions about this product by Blackmagic Design, contact us by completing and submitting the form below. If you are looking for a specif part number, please include it with your message.